MAB’s latest residential development, The Quays, has won its eighth award this year. 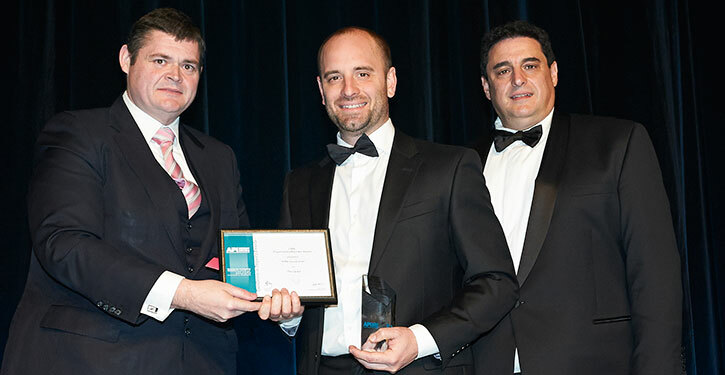 On Friday 12th September MAB was awarded the Australian Property Institute – Property Development Award for Victoria. The award recognises MAB for demonstrating the qualities of leadership and vision that lead to a change in the property industry in the interests of both property practitioners and the community at large. On Thursday 18th September The Quays won two Australian Timber Design Awards. The Excellence in the use of Timber Products – Office Fitout Featuring Decorative Sliced Veneers award and the Excellence in the use of Timber Products – Timber Veneers award. The Quays was selected for this years’ Open House Melbourne Festival in July, which gave the general public the chance to take a guided tour with the architect, McBride Charles Ryan and MAB. An Open House Melbourne Festival visitor’s photo of The Quays won the photography competition. The Quays will be complemented by a 2000 square metre art and landscape project, Monument Park on NewQuay Promenade. Monument Park is MAB’s latest public art project at NewQuay and will be a visually dynamic public space for local people and visitors to meet, play, sit and linger, whilst enjoying views of Melbourne’s CBD and the water. Monument Park is scheduled for completion by the end of this year and will set the tone for MAB’s public spaces throughout NewQuay. A new cafÃ© will complement the park and is scheduled to open prior to the parks completion.